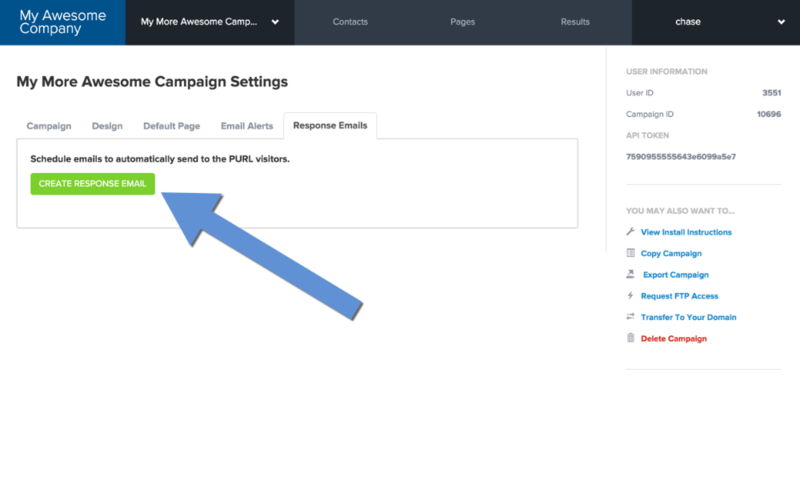 - The visitor has a valid email address. 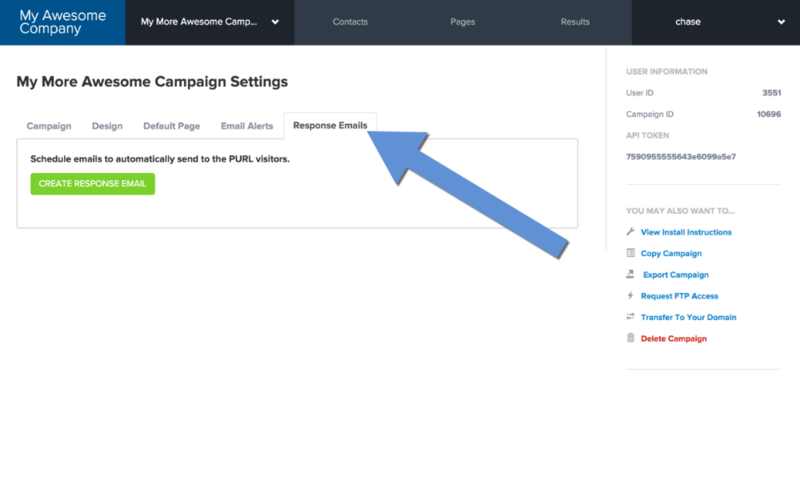 Under your campaign settings, select the Response Emails tab and then the Create Response Email button. The "From" email will be the user's email address. 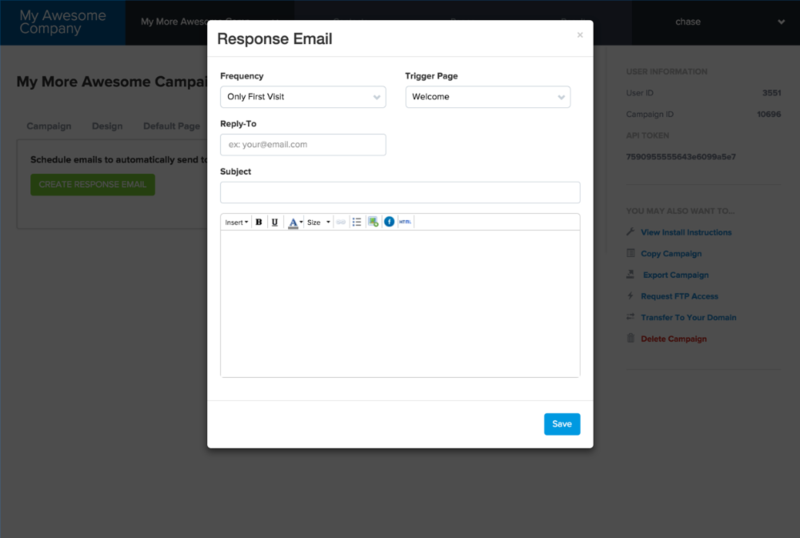 Trigger Page: The page that will trigger the email to be instantly sent. Body: The email body. 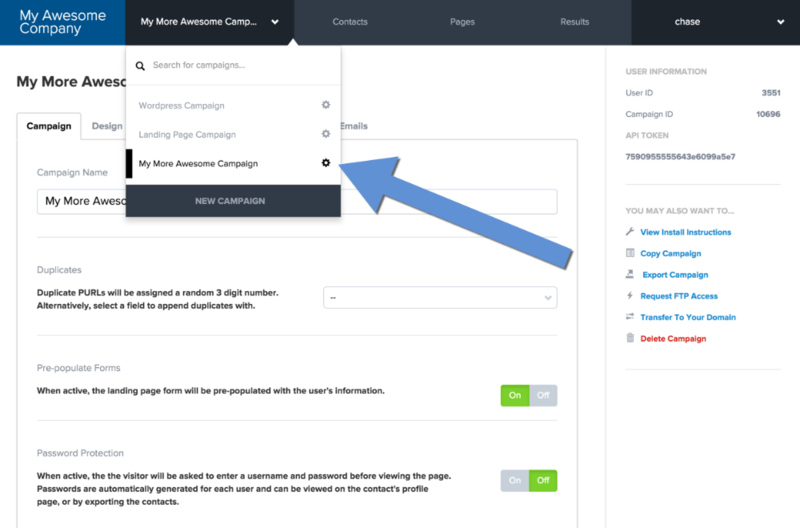 You can use variable content in the email just as you would through the landing page.